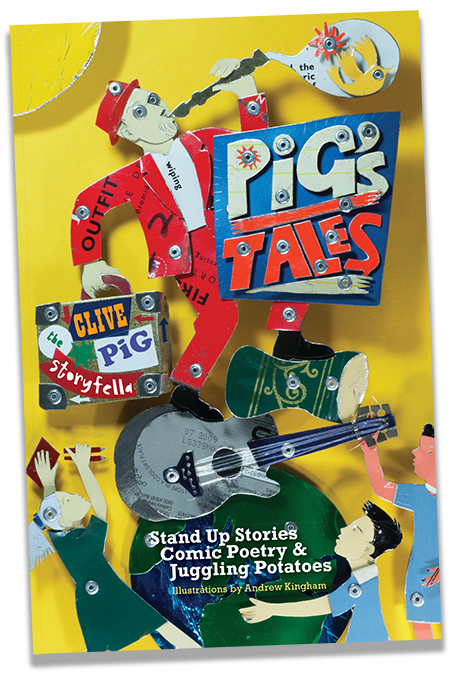 PiG’s Tales was published in 2014 and the print run of 3000 copies has sold out. There are currently no plans to re-print this book but second hand copies are available on numerous booksellers’ websites (although not this one). Please note PiG’s Tales has been re-packaged by Caboodle Books with a new title Unicorn In The Playground. This slimmed down version uses the nom de plume Mister Storyfella, has a new cover and all pigs, bacon sandwiches and ghosts have been exorcised.